If you have a minute and a few dollars to spare, please head over to Shannon's today and check out the auction taking place. (For 48 hours only!) All proceeds go directly to my dear friend Kori, who's husband is in the final stages of colon cancer. Kori is the sweetest lady, a wonderful mom, and loving wife and can use all the help she gets. This means so much to me thank you Elena. You're the best. I bid on something but I don't know if I did it right! Wish your friends the best. P.S... how is it that I have not been here before?! 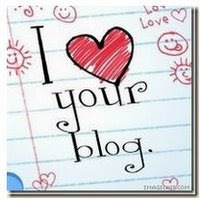 I see we follow some of the same bloggy friends!